As the UN pushes for global adoption of its Sustainable Development Goals (SDGs), organisations are encouraged more and more to integrate sustainable practices into their business plans1 – for the good both of the world and the organisation. The value of casting a company in a green light is vast. 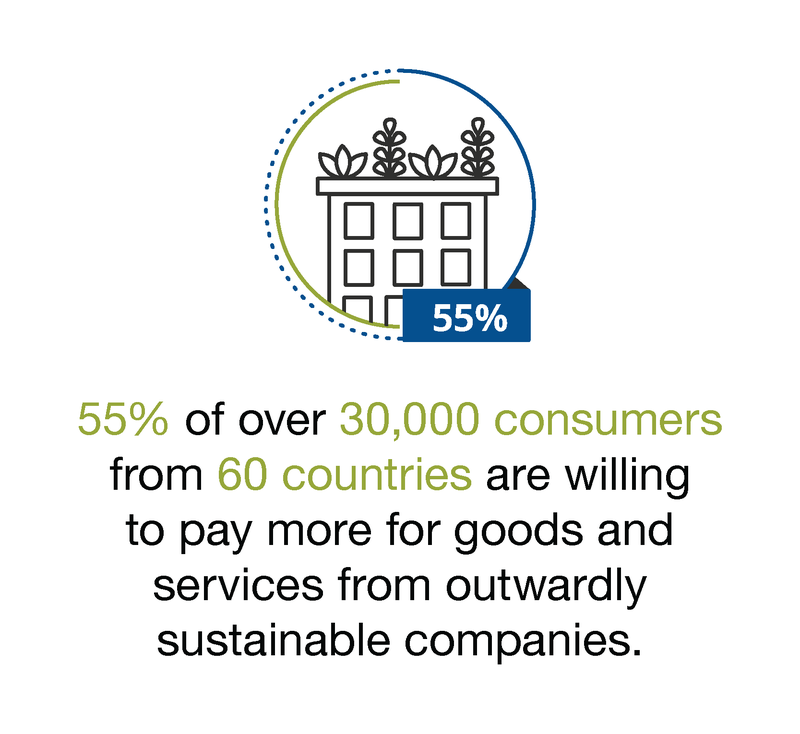 The Nielsen report also found the majority of consumers take into account sustainable packaging when making purchasing decisions, and companies’ bottom lines are positively affected by making sustainability claims. But in order for the true value of CSR practices to be realised, these sustainability claims need to be more than just for show. Businesses can easily fall into the trap of greenwashing their practices, instead of integrating sustainable change into their strategies. Greenwashing, also known as green marketing or green sheen, is a form of marketing employed to make companies appear more sustainable than they are in practice. The various tools used by companies to achieve this sustainability falsehood range from press releases about green projects or sustainability task forces to rebranding products or services and advertising materials. 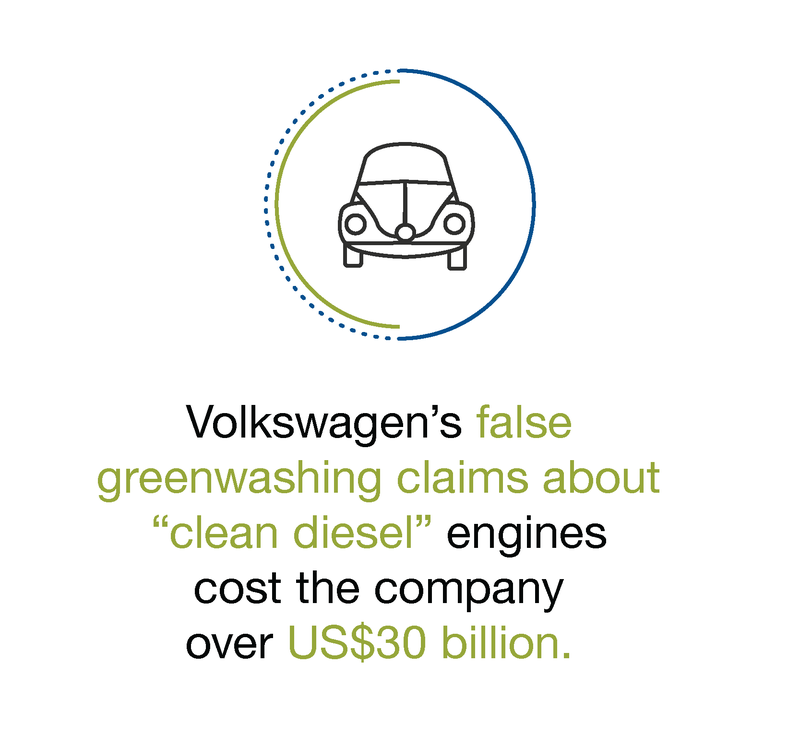 The VW example clearly highlights the pitfalls of greenwashing a business’s practices: not only do you not contribute to reducing costs or environmental impact, you also leave yourself open to being found out, ultimately resulting in potential litigation and loss of revenue and public support. Why should you care about greenwashing? From public outcry about the use of plastics in manufacturing,6 to increased regulatory pressure to adhere to sustainability reporting standards,7 global organisations are increasingly expected to meaningfully up their sustainability efforts. Professionals of all levels – not only those in leadership positions – need to take on the challenge of driving meaningful sustainable change. 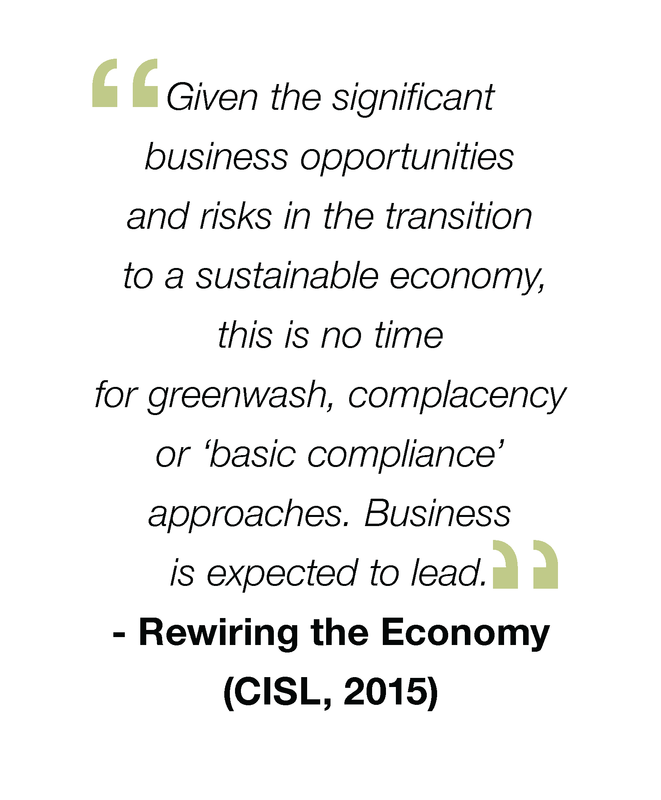 To achieve this, workers need to upskill their sustainability leadership expertise. The Business Sustainability Management online short course from the Cambridge Institute for Sustainability Leadership (CISL) has been designed to equip you with the tools you need to argue the business case for sustainability integration. You’ll learn how to conceptualise sustainable design and planning, create a sustainability leadership strategy, and successfully market your organisation’s sustainable practices – increasing your environmental appeal without greenwashing. 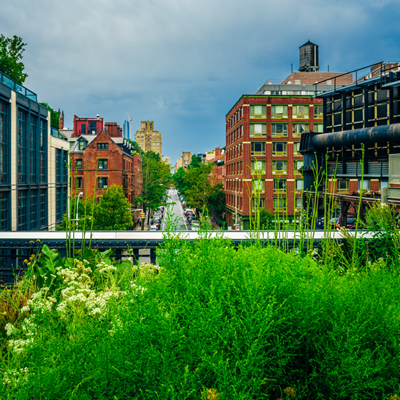 The eight-week course will enable you to integrate sustainability into your business practices and avoid getting caught in the legally- and reputationally-detrimental trap of greenwashing. Want a sustainability integration action plan for your business?